"Many of the same writers and editors who were there in 1995 continue to put out the magazine today." 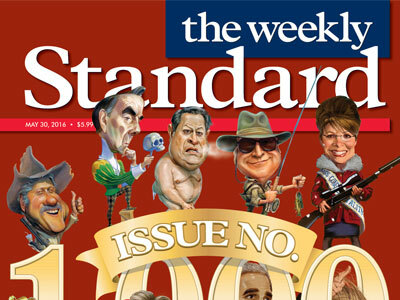 The May 30 edition of Conservative magazine Weekly Standard hits a triple-zero milestone: it’s the publication’s 1000th issue. As can be expected from its 20+ years of existence, some things have changed along the way, but not everything. For one, William Kristol is still the editor of the magazine he founded in 1995. One of the more significant changes has come from the business end. Original publisher News Corp is no longer involved, having sold the publication in 2009, replaced by new publisher MediaDC, whose parent company, Clarity Media Group, is a subsidiary of the Anschutz Corporation.